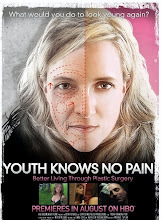 The folks at Make Me Heal have been kind enough to interview me for their Plastic Surgery News website. In it they ask about my thoughts on various celebrities including Johnny Depp, Tom Cruise, Tara Reid, and more. There are other interviews with other prominent plastic surgeons on their site as well, including Dr. Richard Ellenbogen, Dr. Garth Fisher, and Dr. Robert Kotler. I'm with some very good company. Click here for my interview. Thank you to Make Me Heal.com for the attention! "I did it after I turned 40, but I told the doctor, 'My face has got to move. I am not looking for perfection, I am looking for refreshment.'" 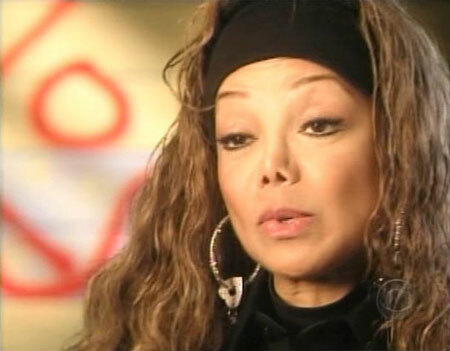 Vanessa Williams on her Botox injections. It's nice to hear her come out about her Botox injections. Botox is now the most common cosmetic treatment performed by plastic surgeons. 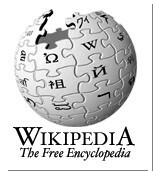 In 2005 over 3 million Botox treatments were performed according to the American Society for Aesthetic Plastic Surgery. The injections take about 20 minutes to give, and results can be seen within 2-7 days. The results last for 3-4 months on average. The treatments are easier than going to the dentist. If performed properly, patients can avoid having the "frozen forehead" look that many people can get from too much Botox. While I think the beautiful Vanessa Williams is aging very gracefully, her hair at the Golden Globes was hideous. TMZ.com and US Weekly are reporting that Jennifer Aniston may have had a rhinoplasty recently. US Weekly reported that Jennifer underwent a nose job at Beverly Hills plastic surgeon Dr. Raj Kanodia's office on January 20th. She was supposedly very upset that he talked with the press about rhinoplasty although he never confirmed that he actually did her surgery. I'm not sure why she is upset with him, if he never confirmed that he actually did the surgery. It is her personal medical information, and he does not appear to have violated that. If anyone asks me if I've done someone's surgery I will often not give an answer in order to be as vague as possible, whether I've done their surgery or not. 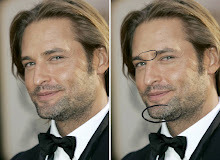 The above photo was taken about one month before the reported rhinoplasty. We'll see what she looks like over the next couple months! For my other post on Jennifer Aniston, click here. Hollyscoop is reporting that Paris Hilton may be considering plastic surgery to repair her uneven upper eyelids. Her left eyelid looks a bit droopy at times (medical term is eyelid ptosis) and this can be repaired with a blepharoplasty with ptosis repair. 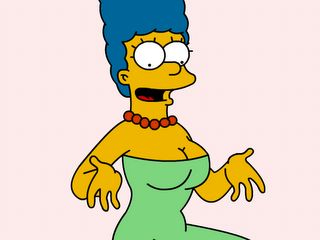 The Sun is reporting that Marge Simpson has had a breast augmentation. Apparently she planned on liposuction but instead ended up with breast implants! Although it has already been taped, the show will premiere later this year. I wonder if she used silicone or saline? Latoya Jackson is currently one of the stars of CBS's Armed and Famous, where a number of D-list celebs join real-life police officers on the job. She is really looking like a female version of her brother Michael. Why does her nose look so bad? It appears to have been overly thinned (as if I need to tell you this). Nostrils can take an unnatural shape like she has when an aggressive alar resection is performed. This is a procedure where the bottoms of the nostrils are cut out to make the nostrils smaller and the nose thinner. It can create an appearance where the nostrils appear pasted onto the face. Thinning the nose by removing too much cartilage can make the nasal tip appear pinched. This can be accentuated by using stitches as well. 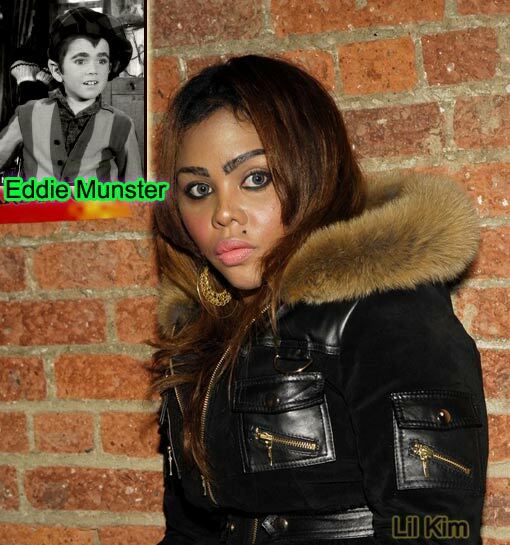 Lil Kim continues to look more and more bizarre. She just may have a bona-fide case of body dysmorphic disorder (BDD). She needs an intervention...stat! 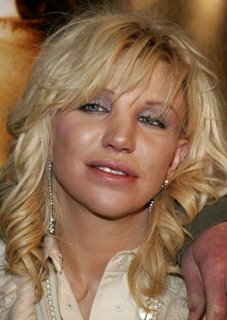 There are reports that Courtney Love has recently travelled to France for corrective plastic surgery. 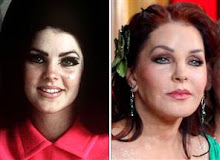 Apparently she underwent a rhinoplasty to correct two previous nose jobs, and possible lip surgery to remove lip implants. The surgery reports were confirmed after Love arrived on Thursday (January 4, 2007) at the premiere of Hilary Swank's new movie "Freedom Writers" with a swollen, healing face, accompanied by old boyfriend Billy Corgin of the Smashing Pumpkins. When asked if she had more cosmetic surgery in France, Love said, "I'm not going to comment on that tonight. I just think me looking human is cool." 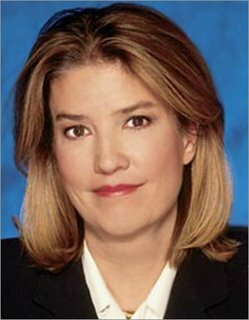 Cosmetic Surgery Truth blog is reporting a story from the Daily Press regarding Greta Van Susteren and the plastic surgery she had a few years ago. Greta says, “I had eye surgery because I wanted to look better for me.” If anyone told her to do it she would have told them “to go jump in the lake.” A reporter from a major media outlet asked Greta if she thought the surgery would affect her credibility. 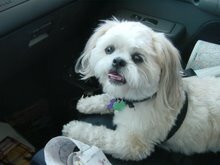 Greta’s response was precious: The plastic surgeon had merely fixed her eyes — not removed brain matter or deleted her education or news experience. Nobody should have plastic surgery because someone else told them to do it. It must be a personal choice made for oneself. I do believe that she had an endoscopic browlift and Botox injections into her forehead in addition to the eyelid surgery. 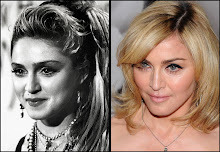 The eyebrows don't become elevated by just a blepharoplasty. If you see her now, it does appear that her brows have descended somewhat. This is not uncommon with certain endoscopic browlifts. 5: Kenny Rogers shows up on American Idol with the same bushy beard, but a new set of overly-tight eyelids. He later admits that his plastic surgeon was too aggressive with his surgery, and that he needs a revision. Unfortunately, the main technique to correct this is with a skin graft. 4: The famed Celebrity Cosmetic Surgery Blog begins its ascent of the blogosphere, starting with a post on Melanie Griffith. as far as I know, it is now the most visited blog by a plastic surgeon in the United States. Thanks! 3: The world's first face transplant occurs in Europe, with steadily improving results. The woman had most of her face mauled by a dog, and appears to have healed relatively well. This is in contrast to the world's first genitalia transplant, which was not so successful. 2: Ashlee Simpson undergoes a rhinoplasty and becomes the talk of the tabloids and blogs. While her image may have improved, her music is another story. 1: Silicone implants are approved by the FDA. This allows millions of women access to a product which is arguably superior to the saline implants which were used almost exclusively over the last 12 years. While the approval is definitely controversial, it allows both doctors and patients a choice we did not have a couple months ago. That's it! I'm sure you can think of other big events which should be on this list, but these were the ones that immediately jumped out at me. Feel free to post any other ideas!